The more senior members may remember me and GB010. I occasionally pop over and say hello. Hi Allan, great to hear from you again. We cant forget you You must have the second highest number of posts still! Hello Allan - from one senior member to another. My last Disco was a very similar reg........is yours an ex-Land Rover management car? It's a belting motor. Quiet, fast, handles very well, looks good (IMHO). Greg, very perceptive, yes I think it is an ex LRM car - previously registered to LR. It is bit of an odd ball as it is a base spec but with a lot of extras like full leather, electric seats, sun roof, PDC, PTI, etc. It also has a 2008 steering wheel even though it's a 2009 chassis...??? It was about £10k off list with 6,000 miles on it so I'm not complaining. I will be looking for another Defender when the coffers has recovered from buying this. RRS is nice but I don't think I will ever get Defenders out of my system. I haven't done a proper shoot yet but here's one from my iPhone. 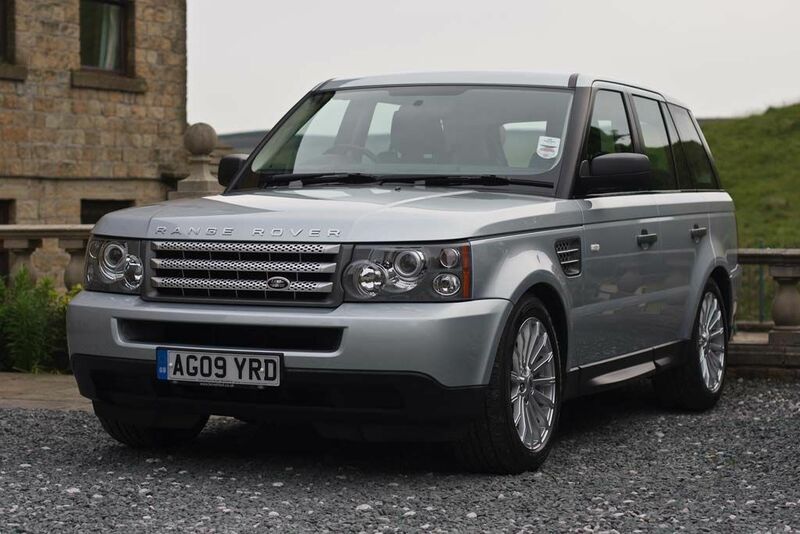 Range Rover Vogue TDV8 315bhp / 500lbft / 0-60 7.5 / 30.1 mpg / 8 speed ZF auto and more toys than you can shake a stick at...! I resist posting my RR TD6, Puma Def 110 Hicap with an unique spare wheel configuration with full functioning tailgate etc. reckon likely the only possible one in Uk, totally bespoke.